Where can I see time entered? See the time tracked by your team in the Time list, or on the job. There are a couple of ways to see the time you're tracking in your To Do screen on the job. The first place you can see this time is from the Time list in the Jobs area. The Time list can be grouped by either job, company, team member, date, or item name, meaning that you can see time tracked against any of these criteria. 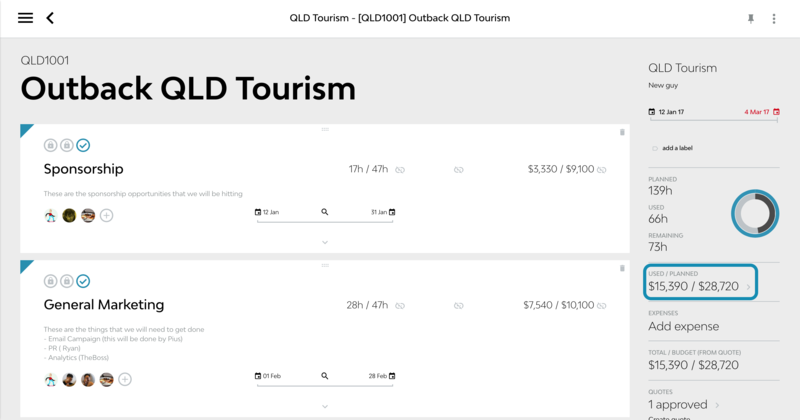 The list provides you with the number of hours tracked, the cost of that time, and the expected sell price, with Grand Totals displayed in the bar across the bottom of the screen. Click onto a job to see a detailed breakdown of individual time entries, such as the date that an entry was recorded, the team member who entered the time, and the item that they worked on. Use Filters to further refine your Time list. 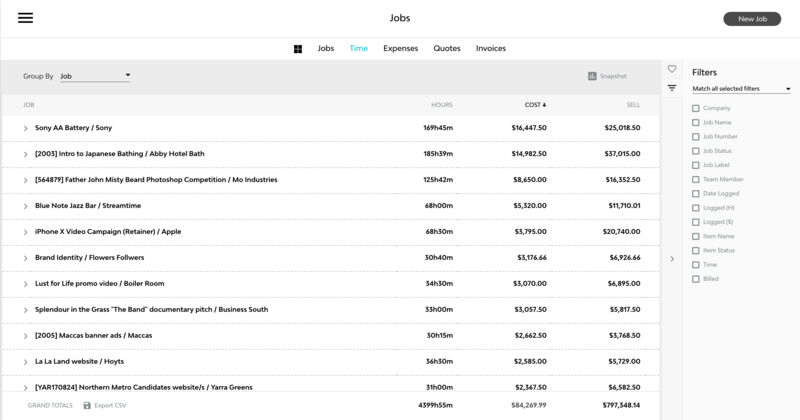 For example, grouping the list by job and adding the filters Team Member (choose a user) and Billed (yes) will show you the amount of billed time for that particular team member across all jobs. 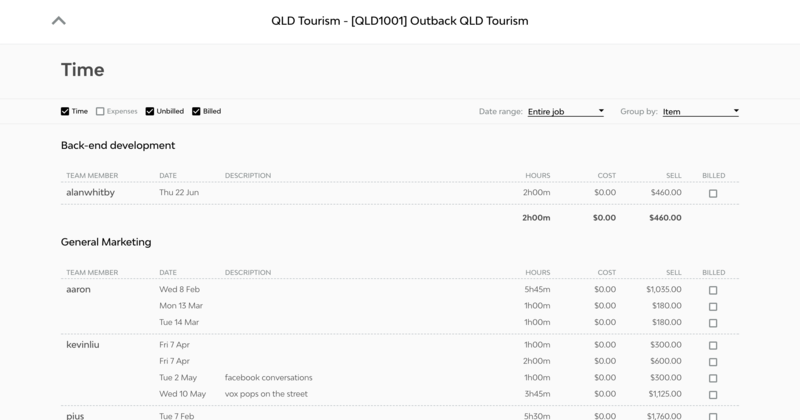 The Grand Totals bar which sits at the bottom of the screen provides you with the total amount of billed time for this team member, along with the total cost and sell price of their time, allowing you to gauge the value that they bring to your business. The other place you can check tracked time is in the Used / Planned area on the job card. Here you'll see a breakdown of all time that has been tracked against the job, along with the cost / sell prices of these entires, and their billed / unbilled status. If you didn't link your time to a Planned Item, it will show as Unplanned. Simply click the menu to the right of the entry to edit it and add it to an item.